I’ve kinda turned over a new leaf – pardon the pun. I’m reluctant to say it so soon but along with my sister, we are whole-fooding it. Like, no sugar, no dairy, no processed foods, for real, healthy eating – as much as we possibly can. I’m not saying I’m not going to indulge in In-n-Out burger or a cupcake occasionally but I’m really wanting to give this thing a go. I have to say that by just making some simple changes, I can already feel a difference. Don’t worry, I’m still going to be cooking yummy things for the blog but I may have to slip in a healthy dish once and a while. Wish me luck! 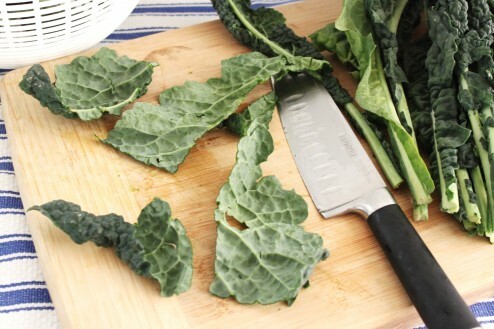 That brings me to kale. I actually really love it. It’s so, so good for you. 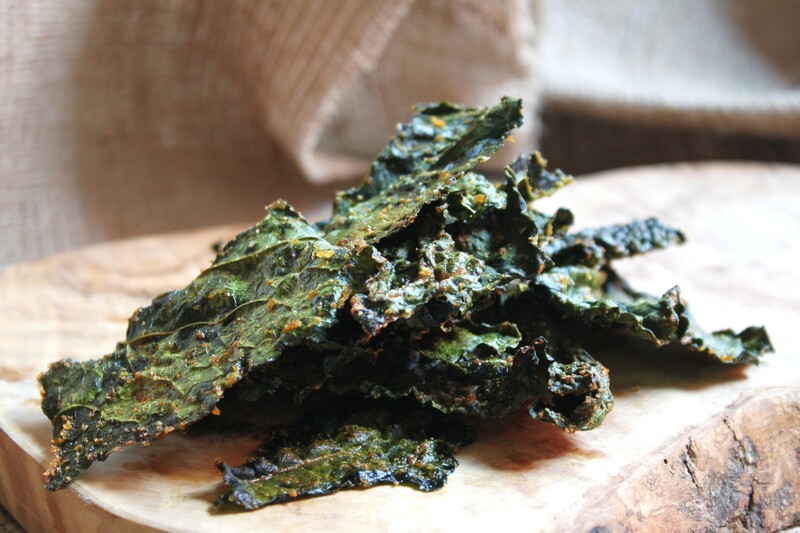 That got me thinking about kale chips, I mean, come on – we need to have a little fun with this. 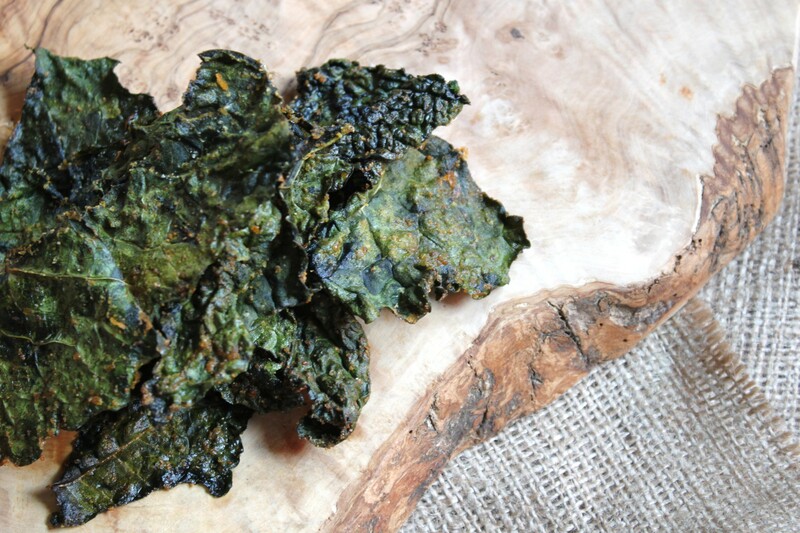 I had some Lacinato kale or as I like to call it ‘legit kale’, that I was supposed to juice but somehow Kale chips just seemed so much more fun. 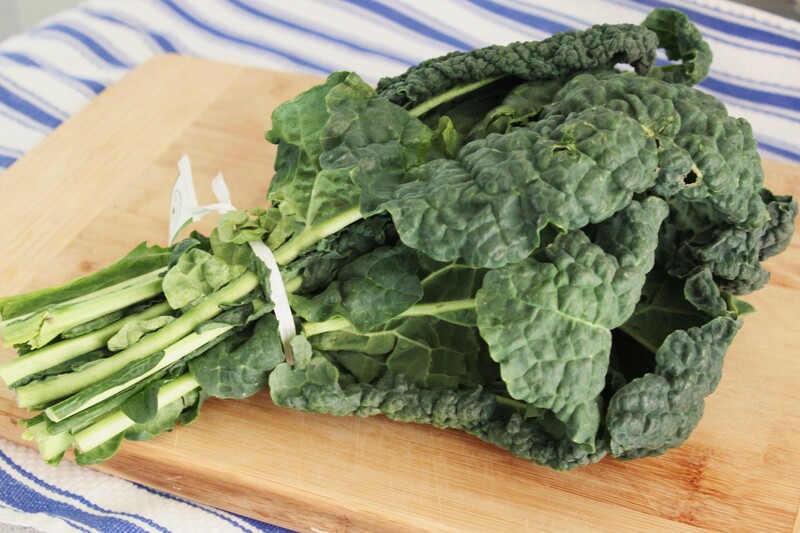 Lacinato Kale is a Tuscan kale or sometimes it’s called Dinosaur Kale or Black Kale, hence why I named it legit kale, it’s the real deal. It kinda does look like what I imagine Dinosaur skin to look like. Appetizing? No – but as a chip? Absolutely! Here it is in all of its Dino glory. 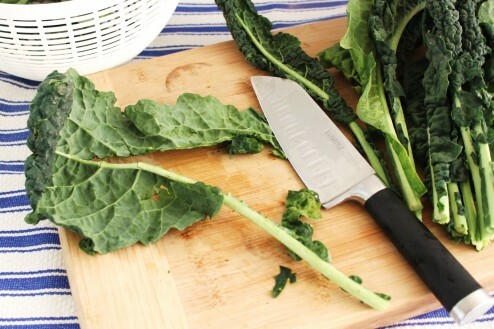 Cut the tough stems out from the leaves. Then cut the leaves into bite sized pieces or chip sized pieces. Season and bake for 10-15 minutes. These are just hot out of the oven. 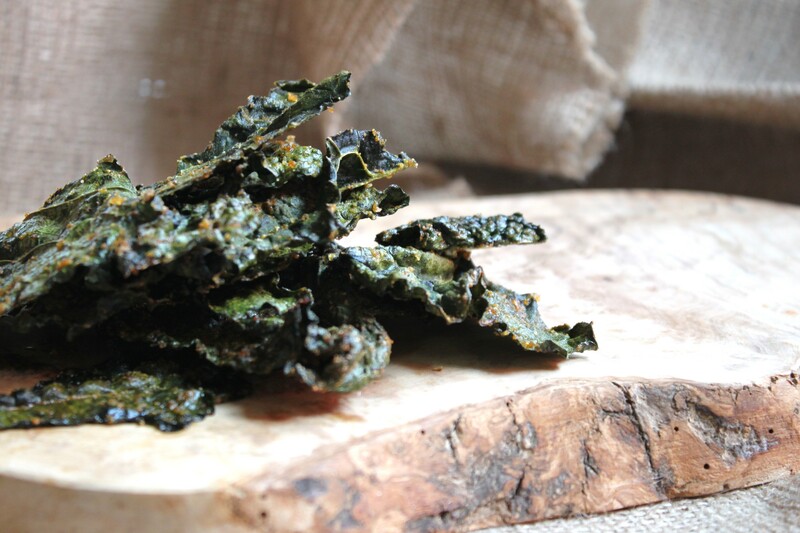 Perfectly salty and perfectly crunchy. Like a real chip. I’m not kidding. 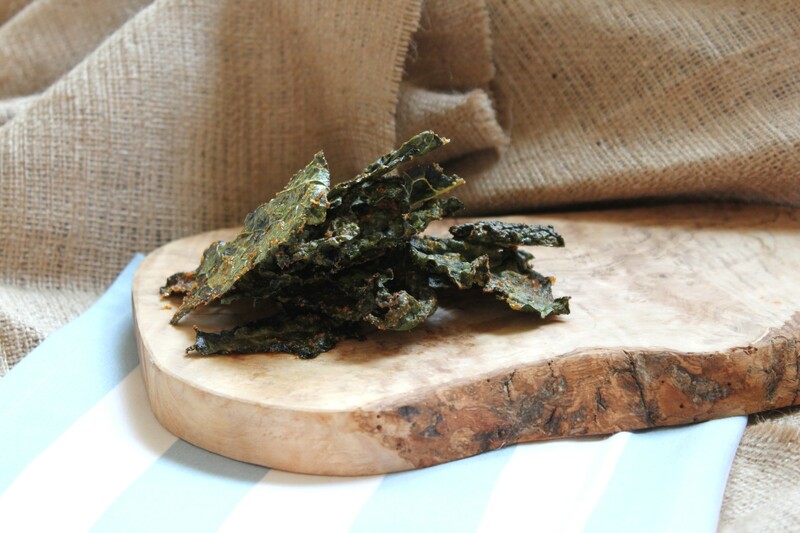 I hope you get a chance to make some of these kale chips soon – enjoy! Preheat the oven to 350 degrees. Line a baking sheet with parchment paper or a silicon baking mat. With a sharp knife, cut out the majority of the thick stem from the kale leaves. Cut into bite sized pieces. Wash leaves and thoroughly dry (a salad spinner is best). Add dry leaves to a bowl, drizzle with oil and spices. Mix to ensure all the leaves are coated. 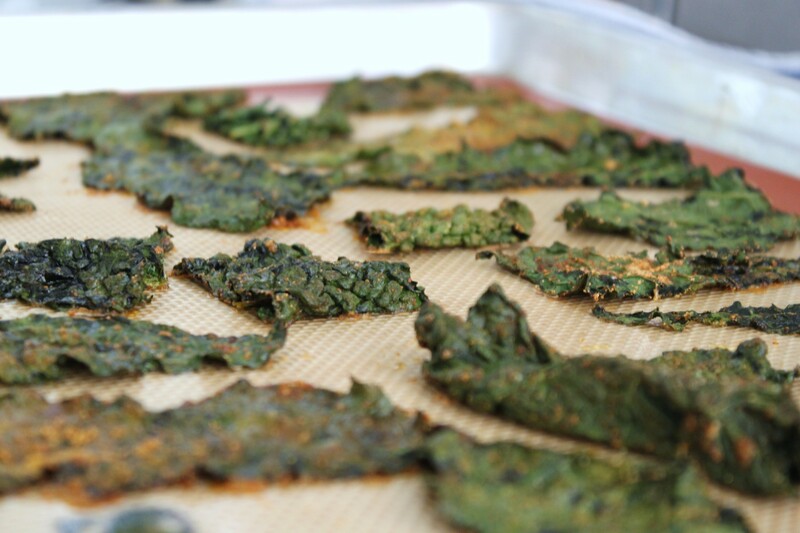 Take the leaves and lay out on the baking sheet in a single layer and place in oven for 10 -15 minutes or until crispy. Remove from sheet and serve.